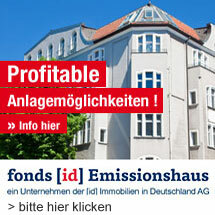 [id] IMMOBILIEN IN DEUTSCHLAND AKTIENGESELLSCHAFT (literally “Real Estate in Germany Stock Company”) focuses on the German real estate market. [id] is the continuation of our activities in the real estate market during the last three decades within the frame of a stock company. [id] benefits from all the strengths of an established property company.